Things are looking shiny and new at JW Desert Ridge, as they announce the near completion of new amenities and enhancements. 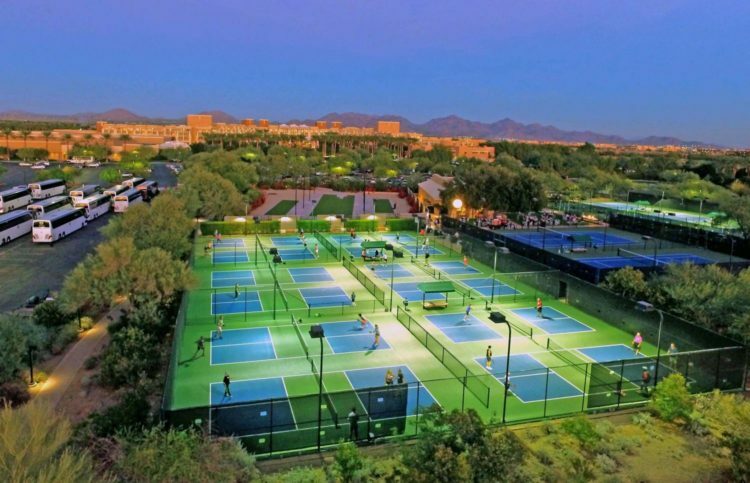 Totaling $8 million, the resort added in 2018 its new Griffin Bay, an exclusive poolside retreat; 12 luxury cabana cottages; new fitness amenities, 12 new pickleball courts; and six soon-to-debut pool suites which are nearing completion. The resort’s Revive Spa expanded its fitness center to almost 3,500 square feet adding all new Life Fitness exercise machines, six new Peloton spin bikes and cardiovascular equipment complete with WiFi capabilities and TV screens. 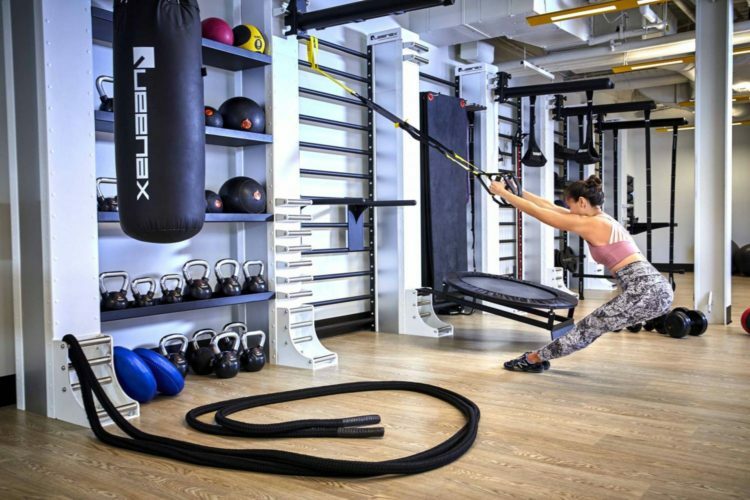 An 870-square-foot movement studio was also added and expanded that includes a Precor Queenax wall unit with TRX capability. In addition to personal trainers, the movement studio features Fitness on Demand videos with JW Wellness Ambassador Nora Tobin. 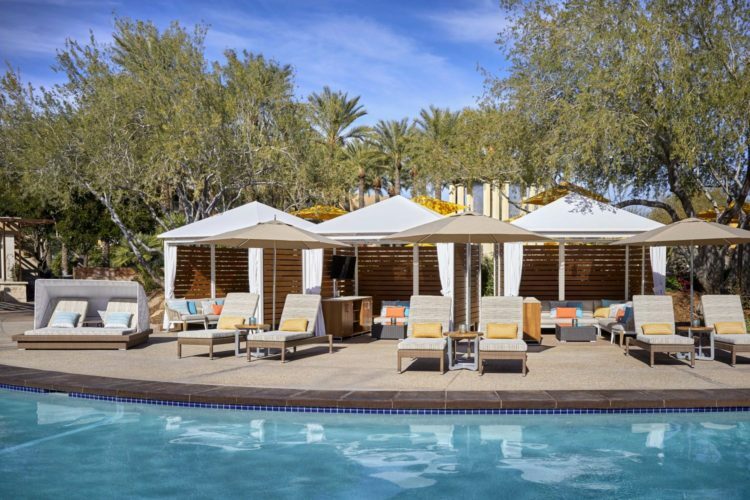 Just outside the fitness center, the spa’s new 600-square-foot yoga lawn, lined with artificial grass, overlooks the resort’s 21,000-square-foot Chef’s Garden and is able to accommodate group yoga classes in season.